Everyone loves the summers here on Whidbey Island, but sometimes I’ll all about dancing in that Washington rain and embracing a moody and romantic winter. 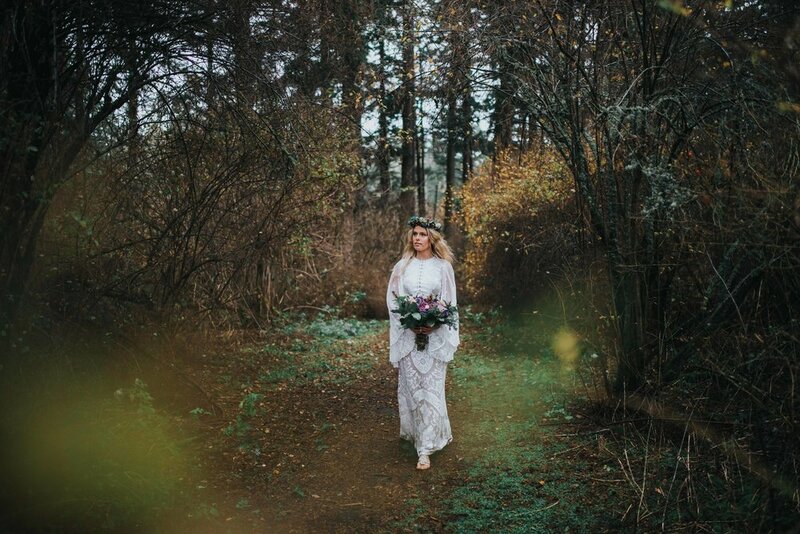 Grace (who was totally channeling both Princess Buttercup and Jenny from Forest Gump with her ethereal boho look) was an absolute trooper for this stylized session as we hiked through soggy and muddy ground to get those scenic shots, and somehow managed to look crazy-gorgeous despite modeling in the freezing cold. My friend and fellow photographer Brandie from Brandie Ballard Photography joined us (check out here work here), and the three of us ladies had a fabulous time chatting, snapping away and just allowing ourselves to be free and creative on a wet and rainy Sunday afternoon. I loved every minute with those two, and am really excited about what we were able to create together.